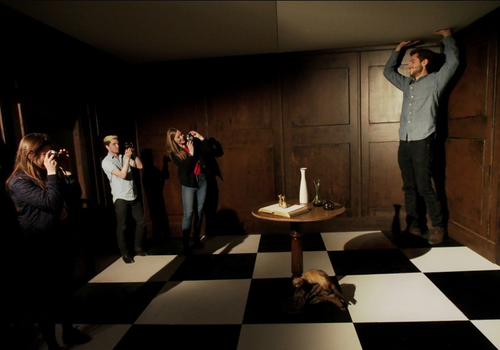 ” Alice through the Keyhole” is an installation, inspired by of the famous “Eat me, Drink scene” of Lewis Caroll’s Wonderland, which uses the optical illusion of the Ames Room. Its play of perception that makes, each visitor to the room, an unknowing performer within the work. 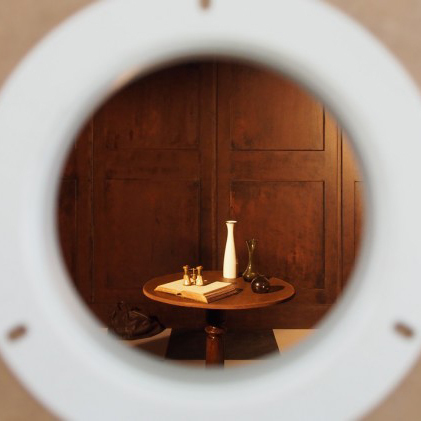 Offering an almost childlike voyeuristic experience of the the viewer that watches it from outside. One of Butlers main re-occurring themes in his works is the notion and the ongoing investigation of how one perceives and how one can be perceived. Butler often explores different techniques within this idea.